Jeff and I took a short weekend trip to Sonoma a few weekends ago. It is the off season and it was a lot cooler than it usually is in Northern CA, but it didn’t hinder us from experiencing the area. 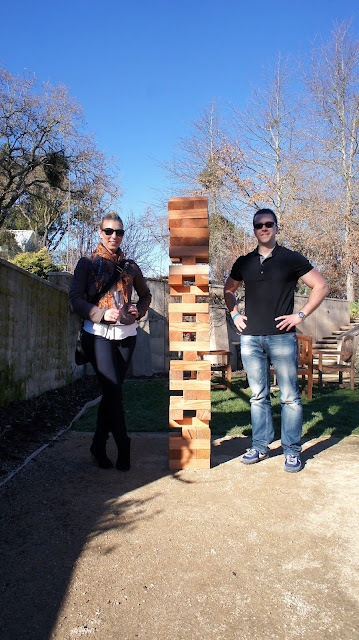 We took a wine tour and experienced a few of the over 400 vineyards in each of the valleys. While there, I was constantly seeing décor items that I wanted to make for our home. Some many of these items included metal and wood. Metal Circular Orbs for Outside Decor. 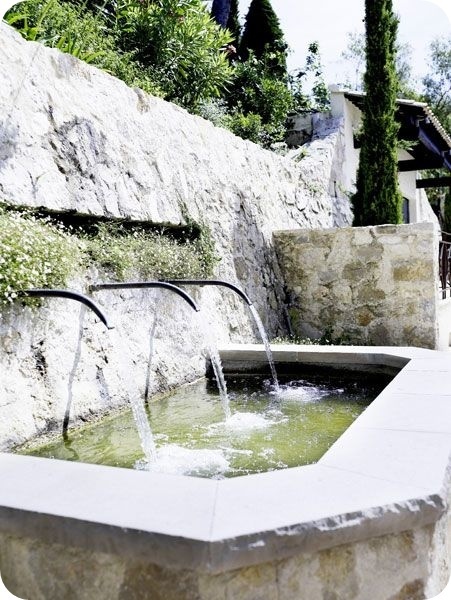 The idea of combining natural elements from the garden with metal is very appealing. Although I would love to get my hands on these, I am sure they aren't cheap. These will be added to the list of DIY projects for my future home's garden. 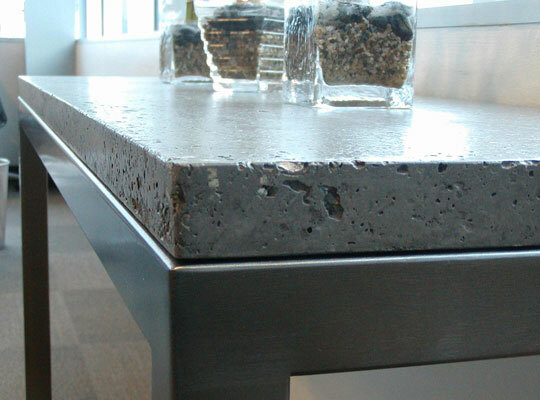 The idea of making a cement bar top, counter top, or even floor is very do-able. The color can even be added and make for a clean, modern, and affordable look. Add with a metal base and it's even more appealing and modern. The idea of a circular dining table was all over wine country. They were a bit more rustic than the one above. 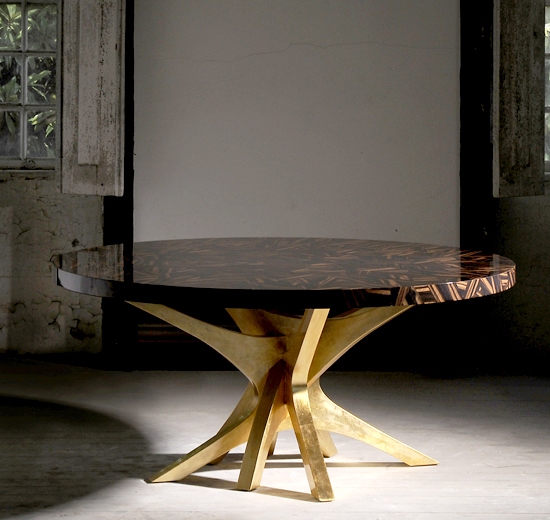 This table is one that I am craving because of the gold leaf bottom and the varying wood finished top. This is a similar picture of the fountains that were featured in many of the vineyards we visited. They looked as if they fit into the setting naturally and were so organic to outside environment. The picture above has mainly succulents planted. 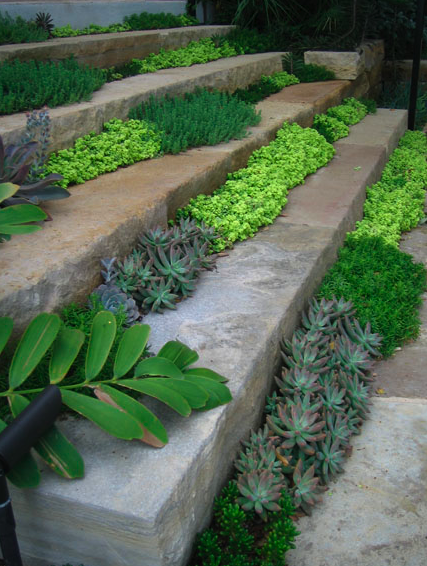 This can also be done with moss or steppable ground cover. It really depends on the temperature in your area and what will grow best. Buy a bunch of 2 x 4s and cut into the optimal size (about 10.5"), sand, and stack. So easy and fun for everyone. This will be made one day. Wine bottle Humming Bird feeder. There are many ideas out there for reusing wine bottles. This is the first time I have seen them used for hummingbird feeders. Humming birds don't get to all areas so this might not be a project for you. If you do want to use those extra wine bottles here is an idea for an outdoor torch. This trip was great inspiration for outside projects. As the weather is warming in Northern VA and the days are quickly approaching spring, I know some of these ideas will be put into action. Labels: Decor., Home., Outside., Travel.